The white letters of the Orthodox text are a sharp contrast to the blue background. The Star of David is done with gold and silver paint. 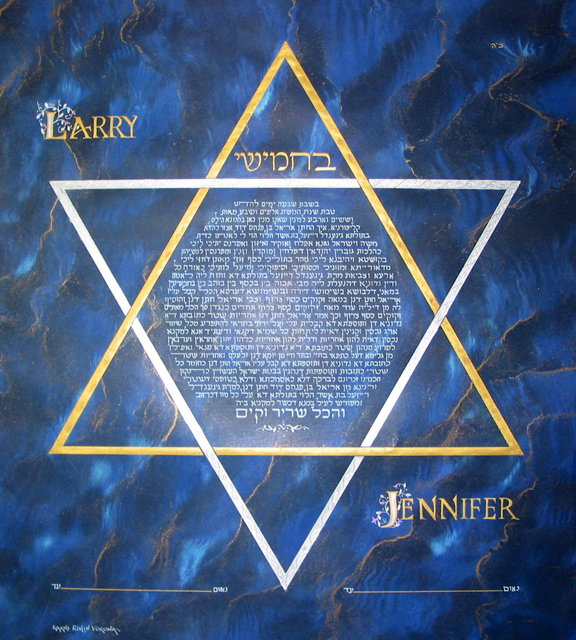 The names of the Bride and Groom are on both sides of the artwork.